Mission Statement: The mission of the Social Citizens of Southeast Florida is to educate, entertain, socialize, promote, stimulate, inspire, support, communicate, develop and enrich the quality of life for our members and all who attend our meetings and trips. 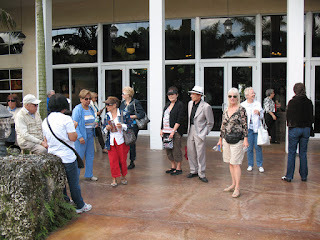 We will encourage participation in activities, such as fine arts, culture, and educational trips for our members. We will want our members to participate and bring their individual knowledge, traditions and their customs of the world to our special meetings. We will act as a resource to initiate tasks that will educate our members and bring communication between city and state government to inform our members of what is taking place in our community. We will strive to cultivate the highest possible level of achievement through passionate, inspirational and innovative contributions to every project that we partake in. We will be committed to enriching and enhancing the lives of our Social Citizens and our entire community with all that we will accomplish. Our goal is to make sure the Social Citizens of Southeast Florida have the most meaningful, enjoyable activities that we can provide them and at a minimal cost. Membership: We will solicit membership from all of Miami-Dade and Broward County, who feel that they can contribute to realizing the mission.